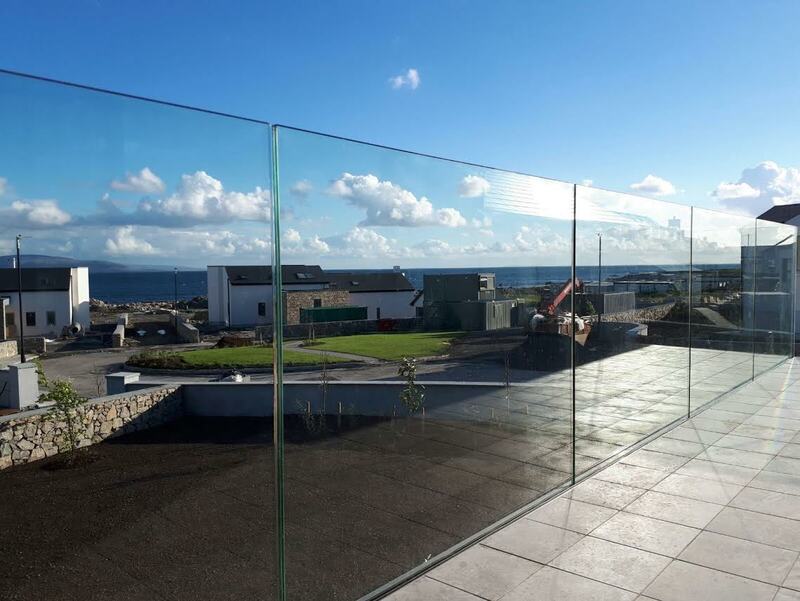 Glass Balustrades are a great addition to any home & can be used in many situations such as Garden Patio Windbreak, Balcony, Stairs, Decking or Terrace. 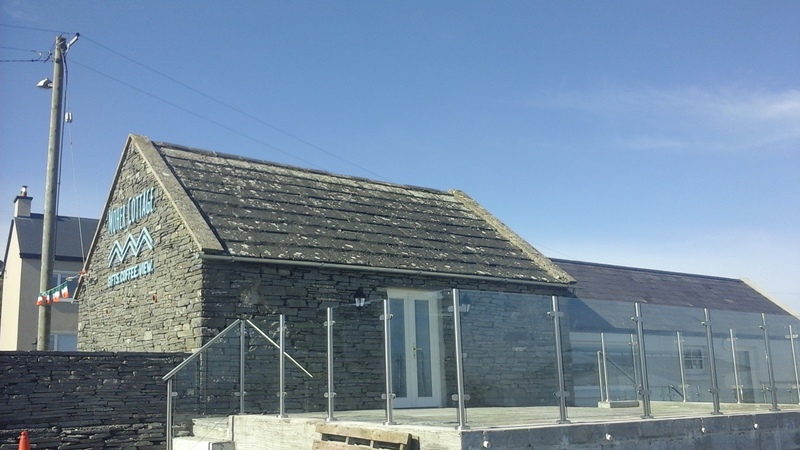 We have Two External Balustrade Solutions for Domestic & Commercial purposes. Glass type: 10 mm thick Toughened Glass with polished edges. Fittings: Crystal View Channel kit (surface or side mounted) Aluminium Anodized with stainless steel effect finish. 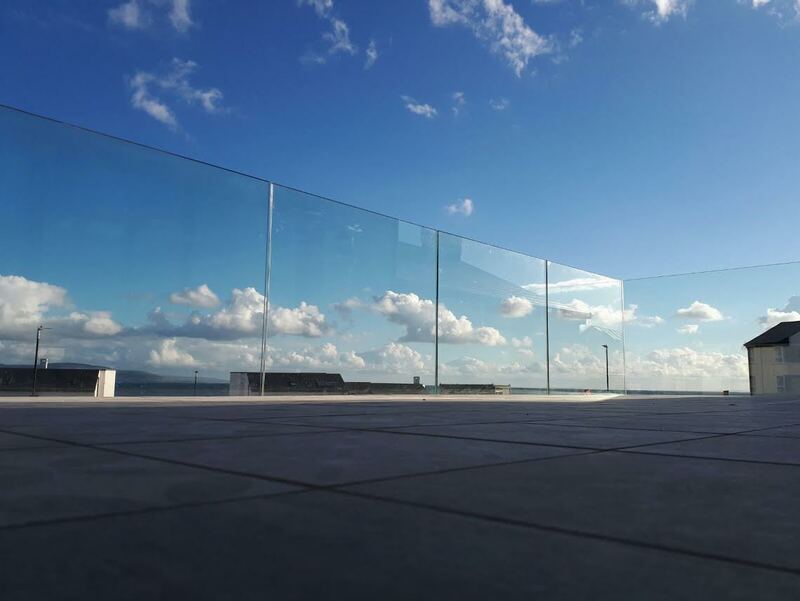 We use Toughened Laminated glass which is Robust & safe to use either as a Balustrade or a Windshield. Please let us know if there is a fall of more than 1200mm (4ft) on the far side of the proposed railing. 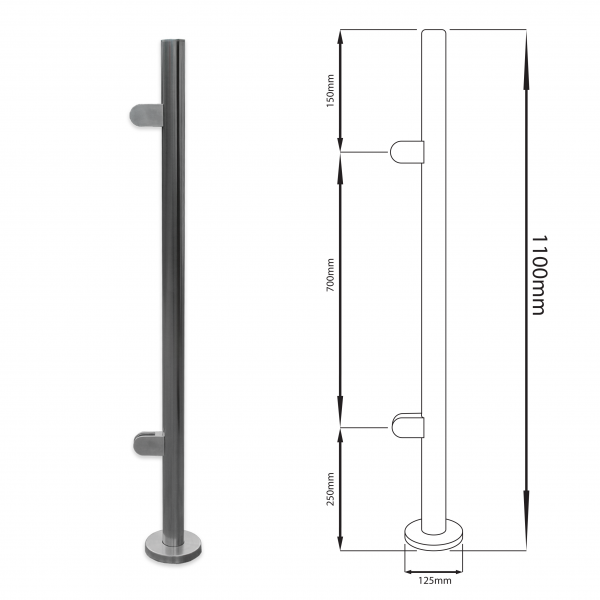 In this case, a handrail or Toughened-Laminated Glass Must be used. Glass Balustrades make a Great CAPTIAL Investment!!! Glass Balustrades add value to your Home & turn your Garden into an extra room you never knew you had! Please Note: This page is Purely for Outdoor Glass Balustrades. For Indoor Balustrades see our Glass Stairs Page. Crystal View Frameless Glass Balustrades – As seen on Grand Designs! For a Seamless View, we recommend the award-winning Crystal View system. No Posts to spoil the view – Just Seamless Glass! Our Crystal View System makes glass installation & removal effortless. This means that unlike wet glazing systems, the glass is easy to remove if it ever breaks or gets damaged. All our glazing systems are fully certified for a height of 1100mm and meet all building regulations. Glass Balustrades bringing the outside in! Grade Stainless Steel. The handrail is optional. 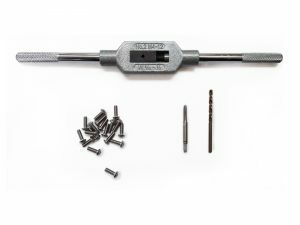 Ezi-Rail is a perfect project for DIY enthusiasts. If you are a Tradesman or Self-builder we can supply all the parts you need to build a contemporary glass balustrade. We also offer phone support where we can walk you through the necessary steps. 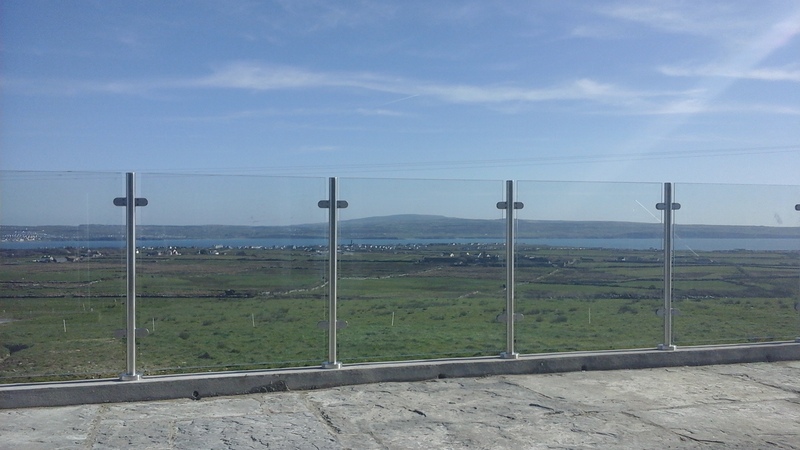 Sligo Glass, provide you with everything you need to fit your balustrade. Even the tapping kit to fit the handrail! 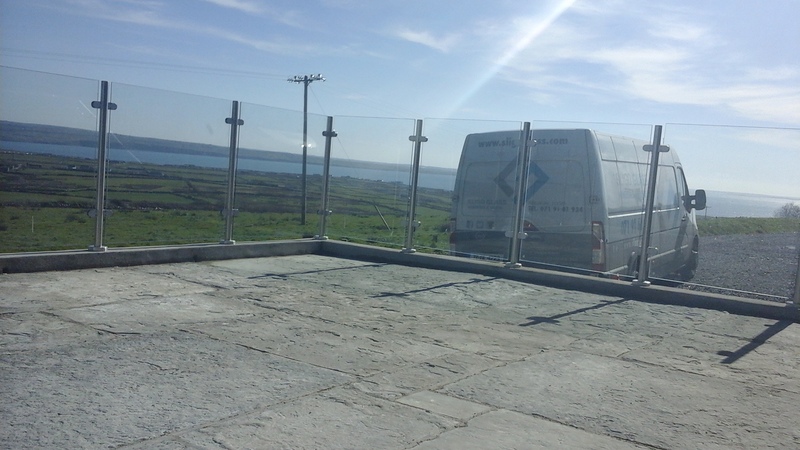 We had Sligo Glass install a new glass balustrade on our Viewing terrace at our new store Moher Cottage in Liscannor Co.Clare and we couldn’t have been more pleased with the work and result they provided. Ian and the team from the outset were very professional and experienced explaining all options thoroughly. On installation, they were focused and methodical double checking everything. We are delighted with the finished product which has provided the wow effect to our viewing terrace but also as we are on the Wild Atlantic Way it has had no issue in the face of our recent hurricane and storms. 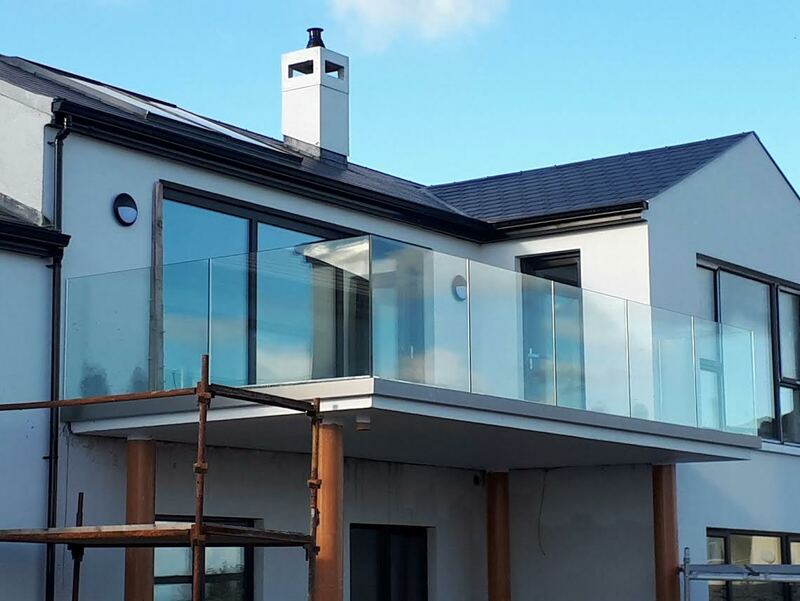 We would definitely recommend Sligo Glass again! You can also Leave a Voicemail anytime with your requirements & let us know a good time to call you back. 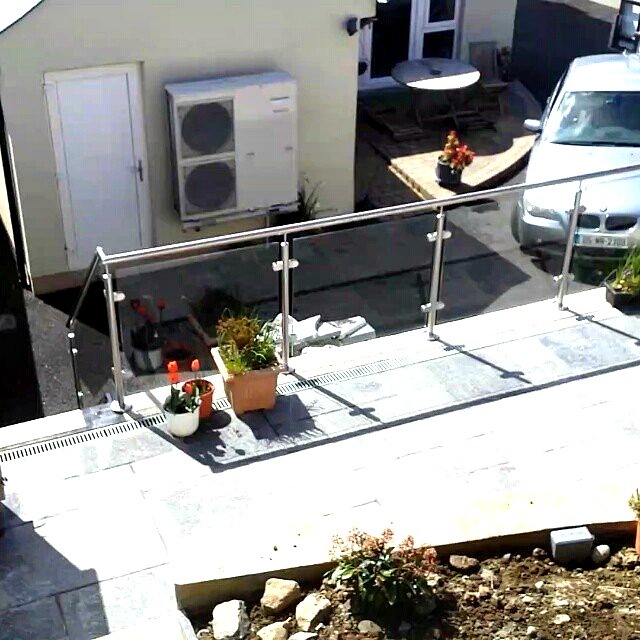 We can also provide Balustrade Systems, which are suitable for Stairs & Landings, Juliet Balconies, Terraces, Apartment Blocks, Patios & Decking areas. This is perfect for you, and so are the selection below!